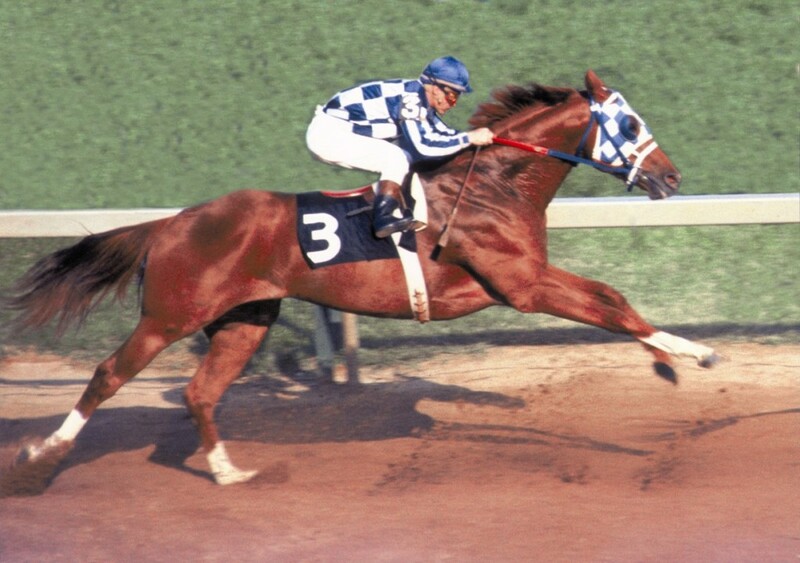 Take a Look at the Most Famous Racehorses in History! Throughout the history of the sport of horse racing, there have been many champions: some gaining fame thanks to multiple wins and huge purses, others as a result of their magnificent lineage, and still others because they have managed to raise the spirits of a nation. There have even been those who have managed to make their names thanks to a combination of all of these! Phar Lap, which means lightning in Thai, was the name of the New Zealand-bred horse who became an Australian icon, with that country the main location of his four-year racing career. The huge horse was an astonishing 17.1 hands high, and had a heart which weighed in at 13.7 pounds, or just over six kilograms, significantly more than the average horse’s heart, which clocks in at just nine pounds, or slightly over four kilograms. Phar Lap managed 37 wins across his 51 races, and set a total of eight records at the track before he passed away under questionable circumstances in 1932, after a sudden illness. Speculation was rife that American gangsters, fearing that the champion would see their illegal bookmaking activities triggering huge losses, had poisoned the animal. Forensic investigations which took place 70 years after Phar Lap died eventually proved that the horse had ingested a huge dose of arsenic just before he died, though the source of the poison was never found or proved. Thankfully, gambling activities like horse racing betting and online blackjack games are no longer controlled by racketeers, and we can enjoy them in perfect safety! 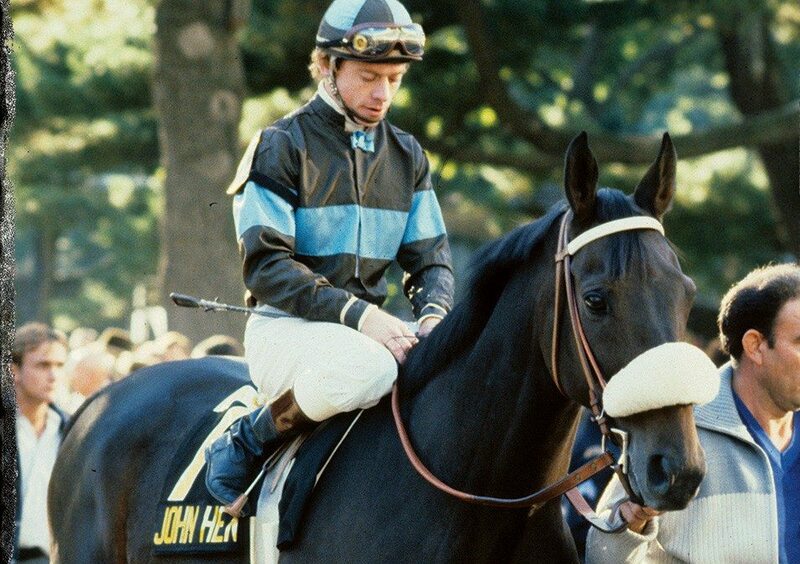 The 1980s was the decade of John Henry, who got voted the racehorse of the decade and also became the first to exceed US$4 million in career earnings by 1983. The horse was named after the folk hero steel-driver thanks to his the fact that, as a youngster, he used to tear down the steel buckets fixed to the walls of his stall and flatten them out with his hooves. In addition to John Henry’s 39 wins, he also became the only horse to twice take first place at both the Arlington Million and the Santa Anita Handicap. After the 1984 Ballantine Scotch Classic he retired as the richest Thoroughbred in the world. Thanks to the fact that he was the son of another very famous horse, Man O’War, War Admiral had big horseshoes to fill right from the start. While he struggled at the starting gate initially, he rose to the challenge, taking home the Triple Crown and the Horse of the Year award in 1937. Confirmed as one of the most lucrative horses in racing during the 1920s, he came the first Thoroughbred in North America which managed to bring in more than US$2 million over the course of his career. It’s been over 300 hundred years since Thoroughbreds were first introduced to the West from the Middle East, totally transforming horse racing. Yet, of the tens of thousands of horses that have been bred and raced worldwide, only a handful have counted as truly awesome contenders, and have gone on to be the most famous racehorses in history. © 2019 The Cool Dude Horse Racing. All rights reserved.